Gelli Baff Review and Competition! Watch your children's faces light up as their bath water magically transforms into slimy goo, creating a wonderful swamp for them and all of their toys to enjoy! 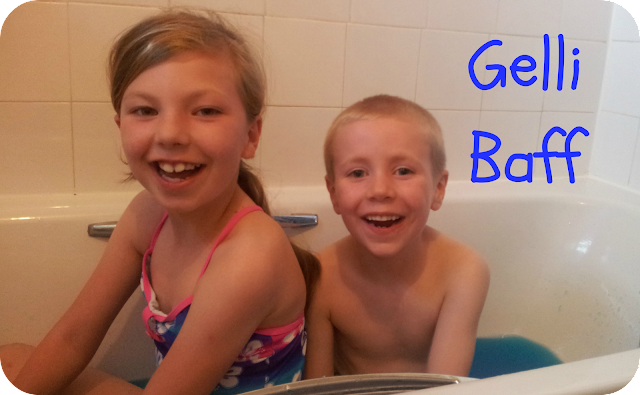 Gelli Baff is unbelievably simple to use and safe on your children's skin too. It's developed by a leading spa and beauty manufacturer, Gelicity Skin Technology, and is a safe powder that absorbs 400 times its own weight in water. Similar to the powder in nappies! The dissolver sachet is just salt. The 300g boxes contain the Step 1 Gelli Baff Formula and Step 2 Dissolver Sachet and the box has easy to follow instructions. The Mini Mes generally have showers but they were so keen to test this out when it arrived we used it the same day it was delivered! You sprinkle in the Gelli Baff formula evenly to around 40 litres of warm bath water, leave it for a few minutes, stir and let the children get in for lots of bath time fun! You don't need to worry about it getting clogged in the plug as it turns back to water after their gooey good times. Once your little ones have finished playing you sprinkle over the dissolver powder while the kids are still in the tub and stir. It's a great product that you can use in paddling pools too! There are four colours to try; red lava blast, orange gloop, magic green jungle swamp and blue lagoon sea. If you fancy getting your own to try you can purchase it here, with 35% off too! 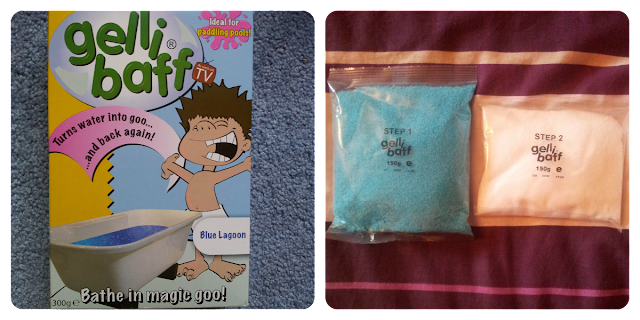 We also have a box of Gelli Baff to giveaway to one lucky family! You can enter below before 1st September 2012 for your chance to win - Good Luck!! My boys favourite toy is an old shampoo or bubble bath bottle. Easily pleased and cheap! Another who likes empty bottles here, he fills them up,lines them up then pours them into a pot. DD has a Makka Pakka toy from The Night Garden which she loves. My kids always find plastic toys out of their toy box and take those in the bath, usually Star Wars figures! Plastic bowls, which usually involves my two chucking water and each other and drowning my bathroom floor! Squirters go down well, and mummy has asked for some surfboarding polar bears for birthday presents! They love the squirty animals and a plastic jug! Little yellow ducks. Loves them! mine always enjoyed filling up the empty bottles of shampoo and emptying them out more than all the toys floating about! Lots of boats and a helicopter too. a plastic penguin attached to the tiles that you pour water in and it twizzles around! Jugs & cups...They enjoy pouring and filling them. My little sister loves a swimming froggy toy. Funnels and a scrubbing brush. Oh, and Lego. My kids have a couple bath toys where you pour water and it makes cogs move,we have a Winnie the Pooh one and a Blue,Red and Yellow one-we also have a musical Clown fish that has a pouring spout that they love and a couple waterproof bath books. Mine love playing potions, they have a few buckets, spoons and a "mixing station" and are happy with that, although M is loving her plastic penquins at the mo! my daughter loves playing with her plastic whale and duck which light up and squirt water. They love the swimming frog, will it make it through the swamp !? My daughter loves her rubber ducks she has loads and loads of them and sometimes she puts so many in it looks like a big rubber duck party. Stacking cups are great fun but we also have some ody paint that they really like too! a jug to make waterfalls! Empty bottles of all things! They love bath crayons to draw on the side of the bath! Thanks so much for running this contest! Also thanks for Prezzybox for supplying the prize of Gelli Baff! 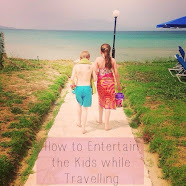 Thanks again to theminimesandme blog, its such a great blog which I love to read!